On Sunday, November 11th, the Swansea Remembrance Day service will be held at St Mary’s Church, Swansea at 2.00 pm. A small delegation of Swansea Brethren, led by the Deputy Provincial Grand Master will lay a wreath at that service in memory of Swansea Brethren who paid the ultimate price and served in the Great Wars. All members of the Craft, particularly Swansea based Brethren and their wives or partners, are invited along in support of the Craft at that service. The next in the series of Organ Concerts will be given by the distinguished organist Darius Battiwalla, Leeds City Organist, at 18:15 for an hour on Wednesday 14th November (the same day as the next Supreme Grand Chapter Convocation). 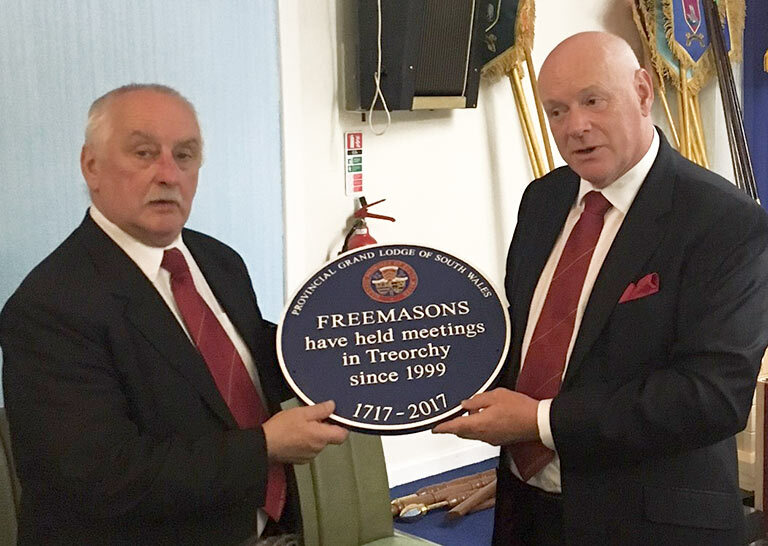 A Blue Plaque has been unveiled in Treorchy to commemorate the involvement of Freemasonry in the Valley community. 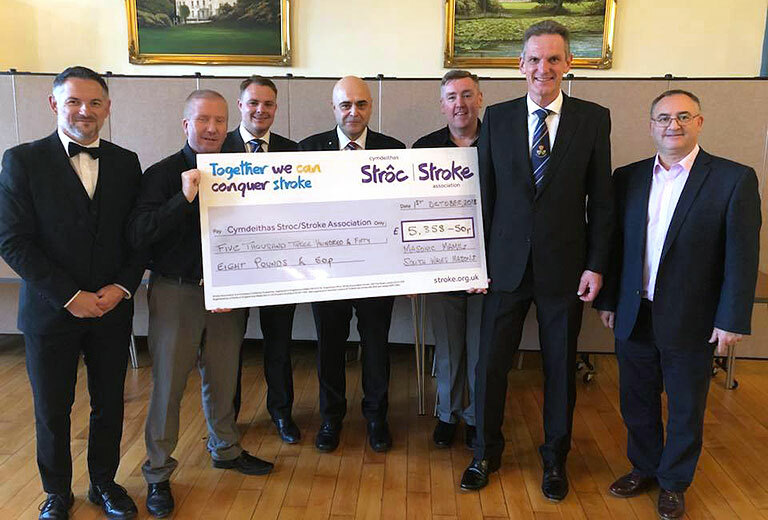 Phil Hanney (pictured left) was invited to join the South Wales Provincial Grand Master Gareth Jones OBE (pictured right) in the task of unveiling the Blue Plaque. 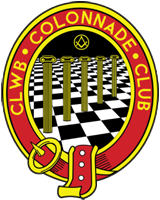 The next Annual Meeting of Provincial Grand Chapter will be brought forward to Saturday, 15th June 2019 and will be convened at Cardiff Masonic Hall. The next Annual Meeting of Provincial Grand Lodge will be held on Monday, 24th June 2019 at Barry Memorial Hall. 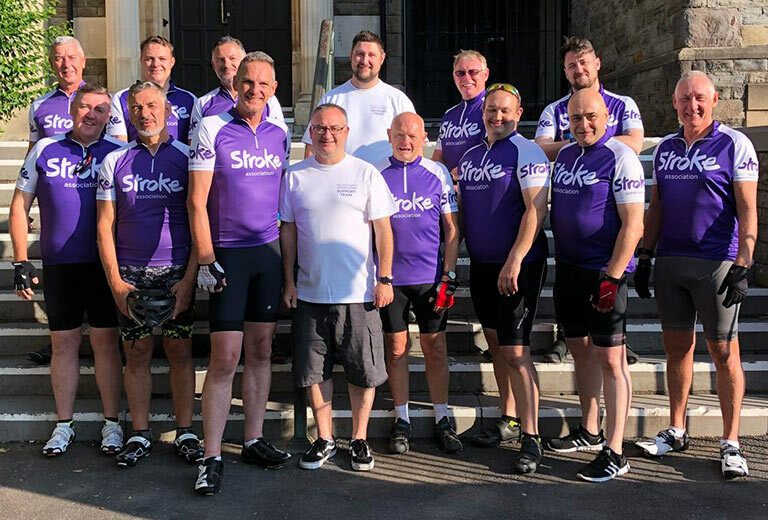 As a result of their successful ‘Gower Bays Challenge’ sponsored bike ride in July, the Masonic MAMILs of Swansea and Port Talbot were delighted to meet with Alan Drury of the Stroke Association at the Swansea Masonic Hall and present him with a cheque for over £5,300 for use in their local centres.